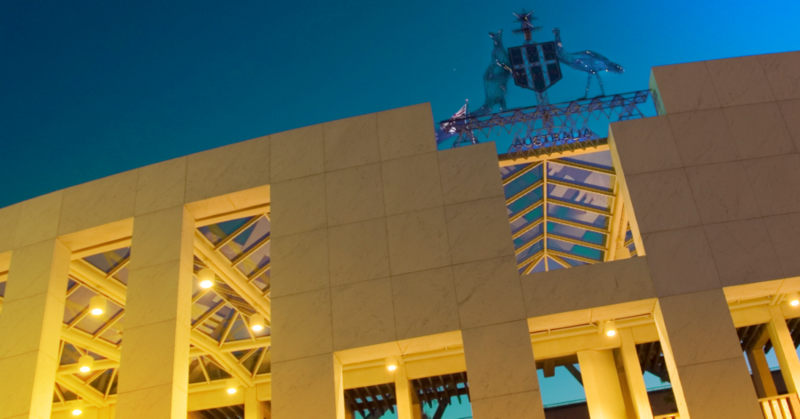 There’s a huge opportunity for the Australian government to build new industries around data. First, governments need to understand that they can’t pick winners. Secondly, data from all levels of government needs to be made easier to access and consume. Thirdly, the current user-pays model of data access needs to be turned on its head. Fourthly, we need a consistent model for APIs. Lastly, it’s time we had a federal Minister for Data. Innovation isn’t something that you can direct with precision. It isn’t always possible to pick where the best opportunities will be or know which dataset will drive the most value. It would be nice to be able to sit back and imagine our future the way we want it to be, but in reality we have to allow innovators to experiment. They need to have the freedom to choose the businesses and commercial models that they want to build around the data available. This is how innovation happens. We need consistent data engagement models, across departments, industries, and states. The government cannot and should not try and pick where the winners will be. As an innovator in Australia, one of the biggest data challenges is the cost and effort required to obtain data from multiple agencies. We have both federal and state governments, each with multiple datasets held in different places. For example, Sustainability Victoria collects a wide variety of data about location and the environment but it’s not available at a federal level. So, if you want to build a data product around location information or property evaluations for example, you currently have to go to multiple state governments to find the data. Each has different standards of collection and different definitions. These create a multitude of challenges that hinder the ability to create new products and services. By building a consolidated or standardized model for data collection federally, it would simplify the lives of many developers and make it much easier to access and test new applications for data. Wollongong University, a customer of ours, provides a good case in point. They collected a huge amount of data from all the service providers in the Wollongong region: buses, water, electricity, gas, council data. Their end goal was to build services around smart cities, to enable better urban development. The cost to them and the complexity to build this out was enormous. But in the end, they produced an incredible piece of work that really helped people to think about the best way to grow Wollongong as a region. If they had access to a centralized data set, Dr Perez and his team could have saved years of effort and delivered faster outcomes for the city of Wollongong. Don’t get me wrong, what they achieved was phenomenal, but it took them a lot of unnecessary time and effort to achieve it. Most data are currently available on an upfront user-pays basis. For example, the Australian Bureau of Statistics (ABS) gives everyone high-level data for free, but you can’t build an app with high-level data. If you want more granular information from the ABS it costs money, quite a lot of money. This is a huge hurdle for innovators and people who are building new businesses from scratch. There are plenty of smart entrepreneurs thinking about new ideas, who don’t have the cash to outlay for the data. Even for established companies it can be challenging to justify the costs of testing a new business model with no guarantee of eventual success. The result means that data is becoming consolidated in the hands of a few organizations. They spend the money and then package it up to create a valuable business in data. But for an innovator, the price hurdle is too high. If we changed the model, moving from upfront payments to a revenue share model, it would enable innovation and the creation of substantial economic value. This recognizes that it costs the government (and the public) a significant amount of money to collect that data, and that the data can be used for the greater public good. The fourth area is having easy access to APIs. This would involve a consistent access model that innovators can tap into. When combined with centralized data, this will enable developers to rapidly access live data. Essentially, if data is not available via an API it’s not likely to drive innovation. If an innovator has to manage spreadsheets (or text recognition, etc. ), the cost of building and maintaining a dataset shoots up exponentially. But if we have an open API structure that is consistent across data sets, it’s going to make innovation incredibly easy. In the US there are some fantastic platforms that allow you to tap into hundreds of thousands of datasets through government maintained APIs. It’s a phenomenal competitive advantage and ultimately has created a new industry in data. At the moment, the government talks about an open data movement but too often they’re really about obfuscation. Too often the government mindset is about hiding data rather than making it easy to consume. An open data movement should be about openness and transparency. To make this happen, perhaps it’s time we had a Minister of Data. They would be responsible for ensuring consistent and timely access to all government data. This person would be responsible for making sure that all government data is open and available, regardless of which government body or region it comes from. A Minister for Data could be charged with making it simple for anyone in Australia to tap into and use data for the social good or commercial applications. Ultimately, the key KPI for the Minister of Data would be to maximize the amount of public data that is accessed (rather than minimize it). There are multitudes of ways that data can be used to build new businesses and industries, but presently it’s far too hard to innovate with data in Australia. By making data sets more transparent and accessible, we create the opportunity for major innovation and community involvement.